The day of rest sits at the very core of the Judeo-Christian religious tradition. First appearing in the creation story of Genesis, we find a pattern of six days of work and then a day of rest. 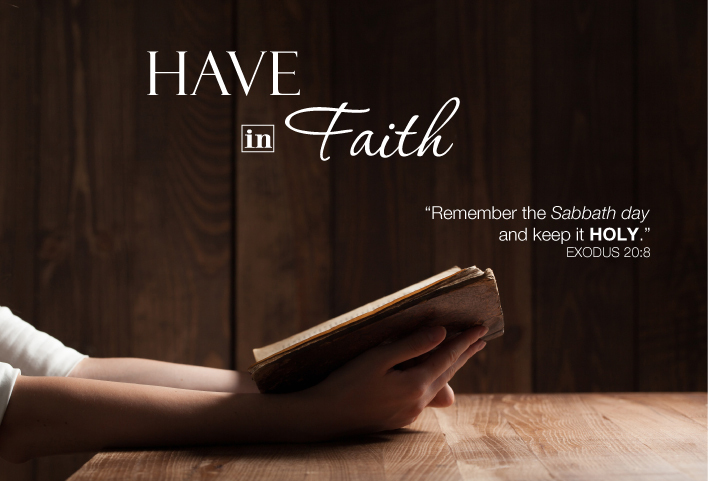 In the Ten Commandments, God commands the Hebrews to keep the Sabbath holy. As we unpack the Levitical laws, we find patterns of rest built into the agricultural laws. In the New Testament, Jesus teaches that the Sabbath was made for humankind; and not vice-versa (Mark 2:27). We struggle with rest. Our anxiety drives us to fill every waking moment with constant activity in a quest to be productive. We need to rest. Rest reminds us that we have our limitations. Rest allows for healing and keeps us from becoming exhausted and burning out. Rest allows for renewal and recovery. Rest provides opportunity for reflection and gratitude. Rest helps us cultivate peace. Even today, Sabbath keeping not only strengthens us spiritually; it helps us rest and strengthens the body/spirit connection. If you are busy, bedraggled and burnt out, keep a restful Sabbath.